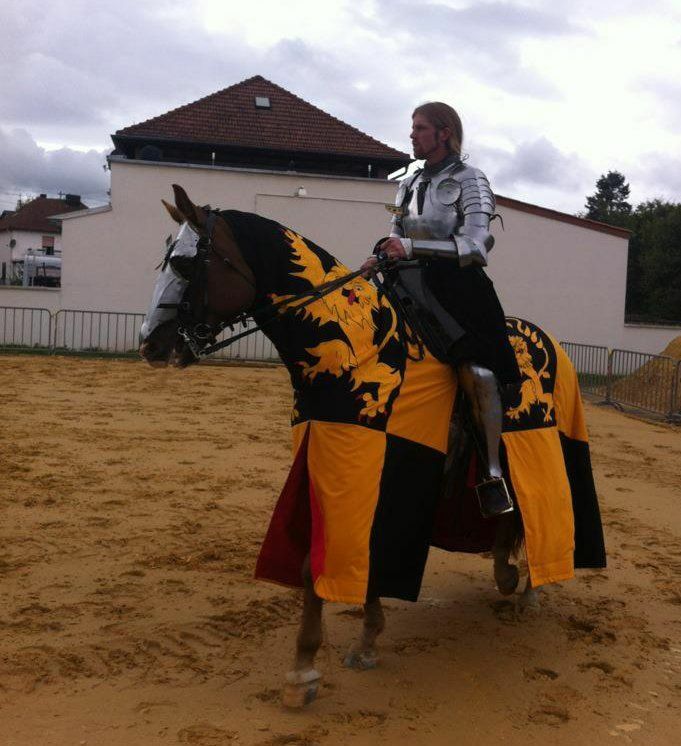 The Jousting Life: A Few Pictures from "The Grand Tournament in Sankt Wendel"
A Few Pictures from "The Grand Tournament in Sankt Wendel"
Hanne Prois Rohjell, wife of jouster Per Estein Prois Rohjell and one of the riding instructors at Trollspeilet, was kind enough to share these pictures she took during the trip to and first day of "The Grand Tournament of Sankt Wendel". 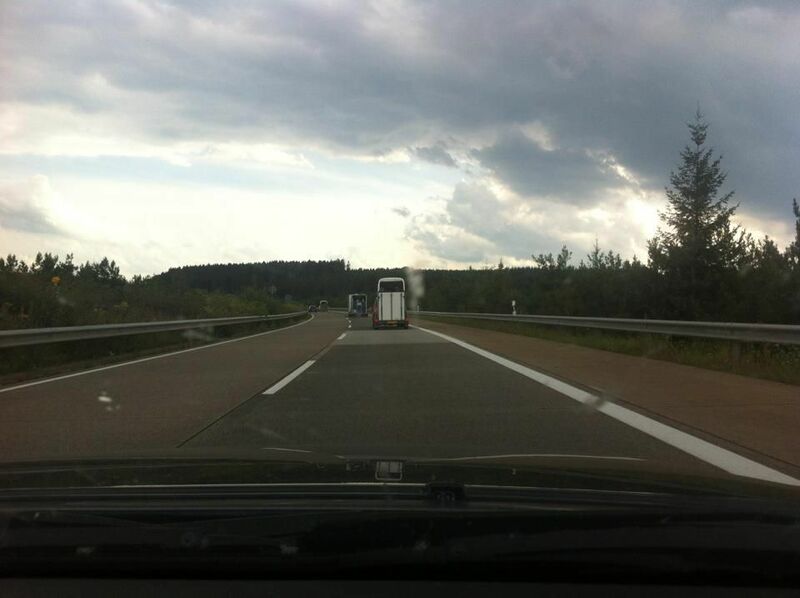 A caravan of horse trailers travel the Autobahn on the way to Sankt Wendel. 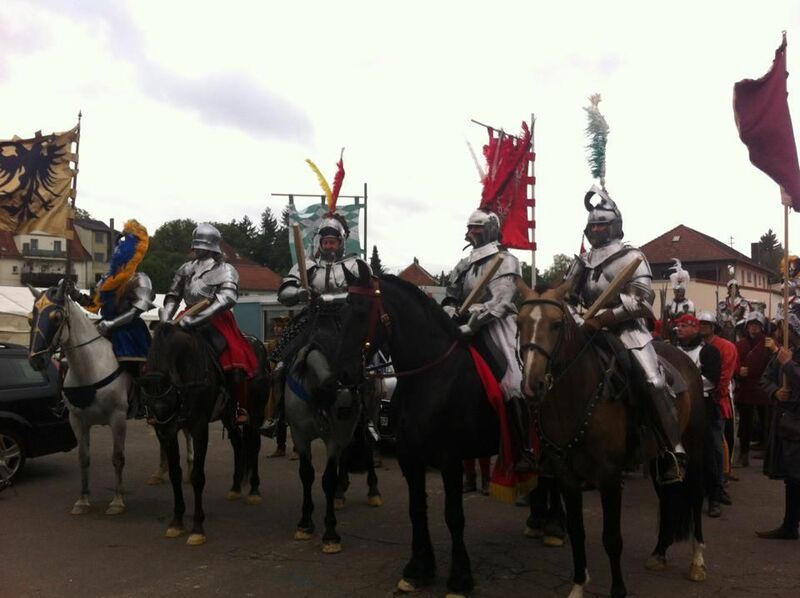 (left to right)Petter Ellingsen, Per Estein Prois Rohjell, Joram von Essen, Dominic Sewell and Alix van Zijl prepare to enter the field at Sankt Wendel. 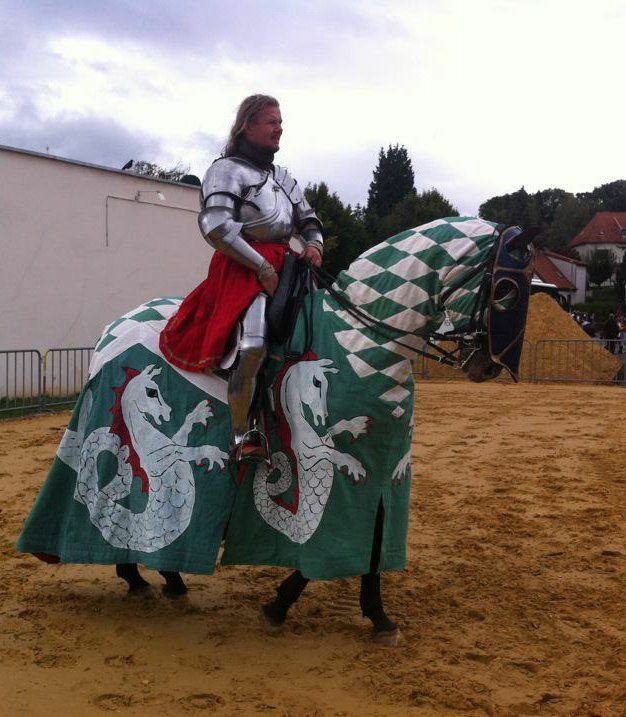 Entering the field for "The Grand Tournament of Sankt Wendel". 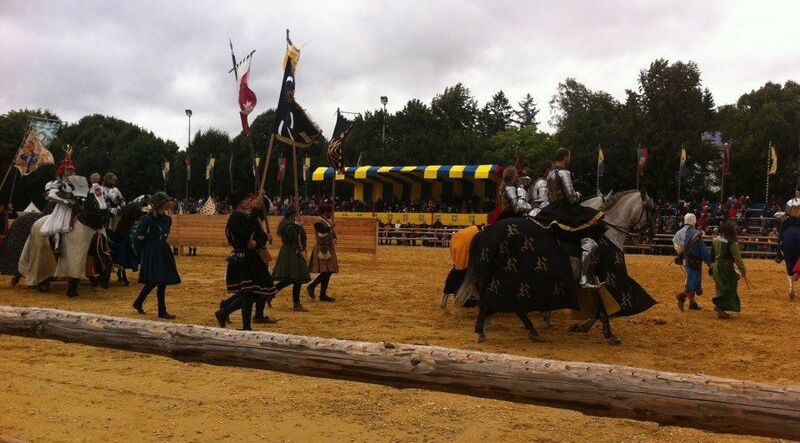 And what did photographer Hanne have to say about the tournament at the end of the first day?